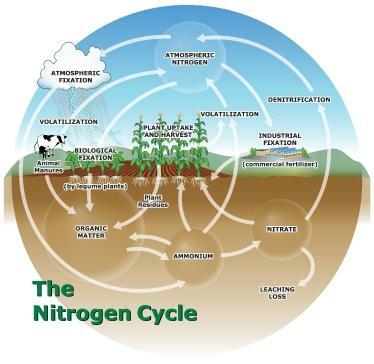 A recent study published in Science shows that keeping N in the ammonium form helps keep organic carbon in the soil. Enhanced levels of carbon dioxide can cause increased rates of degradation of soil organic matter through greater growth of mycorrhizae. When plants receive more N in the form of ammonium, however, this effect is reduced.